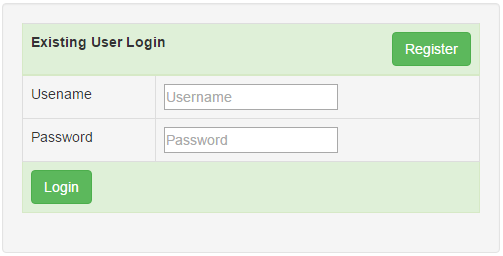 In this video we will discuss implementing login page for ASP.NET Web API. This is continuation to Part 23. Please watch Part 23 from ASP.NET Web API tutorial before proceeding. Add a new HTML page to the EmployeeService project. Name it Login.html. Copy and paste the following HTML & jQuery code. <input id="btnLogin" class="btn btn-success" type="button"
1. sessionStorage data is lost when the browser window is closed. On the Register.html page, we do not have Login button, which takes us to the Login page if the user is already registered. So please include Login button just below "New User Registration" text in the <th> element on Register.html page as shown below. In our next video we will discuss implementing the Data.html page which retrieves data by calling the EmployeesController using the bearer token. 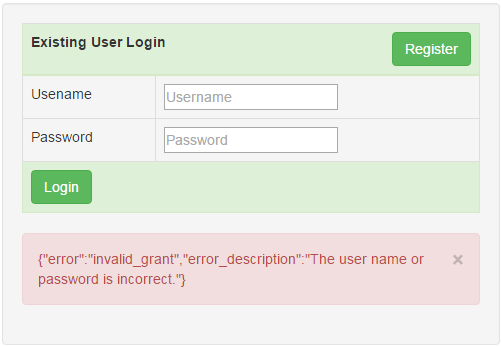 I am getting Error while trying to access the token method from the other project. Please help on this. What if i have to do perform some operation before the login occurs. How to redirect to action method?